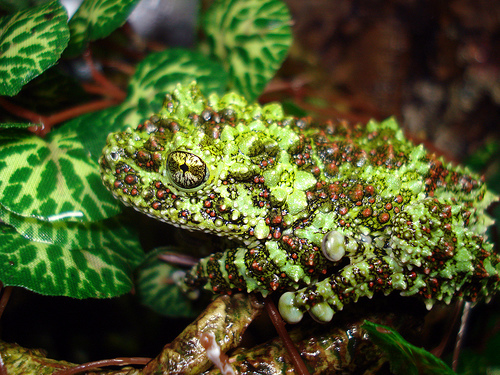 Theloderma corticale, or the Vietnamese mossy frog, is a species of frog in the family Rhacophoridae. This frog found in Vietnam and possibly China. Natural habitat of lowland subtropical or tropical moist, live in fresh water, and rocky areas. The common name of the mossy frog arises from the fact that the skin is mottled green and black that resembles moss growing on rock, and effective form of camouflage. The purple frog is a frog from india. Habitat in soil pits, frog eating insects that exist underground and mating season usually occurs during the rainy season. In the 1980's golden frog populations are on the decline, this is due to a combination of the chytrid fungus and dry weather conditions. To distinguish between males and females can be seen from the physical differences that female frog was bigger than the male and the male entire body color golden yellow like a lemon but colorful female frogs. 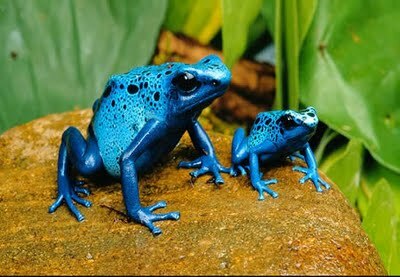 Poisonous frog with colors like sapphire blue, is the common name of a group of frogs in the family who is a frog native Dendrobatidae Central and South America. 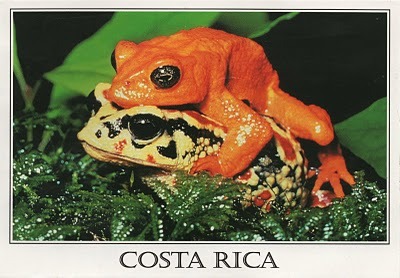 Unlike most frogs, species are active during the day, and often exhibit brightly-colored bodies. Although all dendrobatids least somewhat toxic in the wild, levels of toxicity vary from one species to the next, and from one population to another. Many species are endangered and critical. Amphibians are often called "dart frogs" due to the use by indigenous indian their toxic secretions to poison the tip of his arrow. 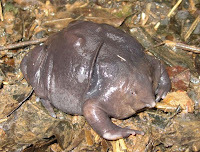 turtle frog is a frog from Western Australia, and the only species in the genus Myobatrachus.Memiliki small head and short limbs, but a round body, panjangnyahingga 45 millimeters (1.8 in). turtle frog is found in Fitzgerald River between Geraldton and Perth region, Western Australia. This area is semi-arid regions, so that the frogs telahmenyesuaikan to the conditions of this area. They have developed a short-leg muscles to help them dig sand, but unlike most other frogs they dig into the future, like the tortoise, not backward. Frog Stomach. The frog is a frog's stomach native of Australia. 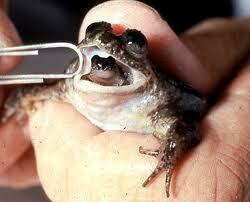 It has a scientific name Rheobatrachus vitellinus. 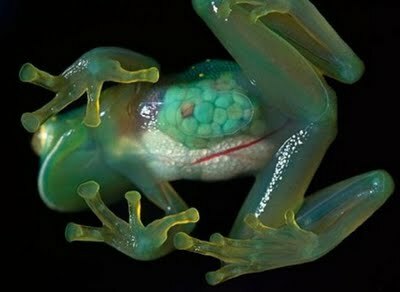 This frog is unique because female frogs will eat the fertilized egg into the stomach and then raise the child in its mouth, so as if the frog is to bear children of her mouth. Last seen in 1985. Allegedly extinct due to chytrid fungus attack.